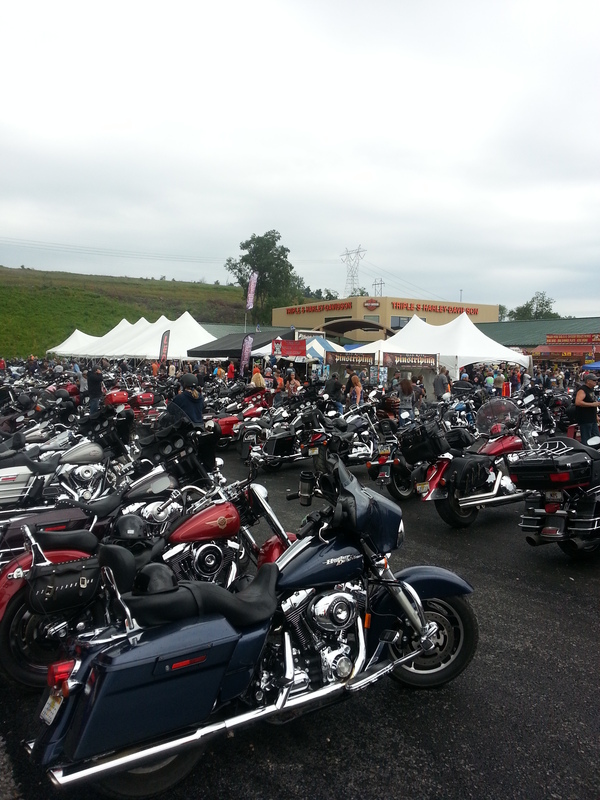 An estimated 60,000 motorcycle riders attended this year’s MountainFest sponsored by Triple S Harley Davidson of Morgantown, WV. My observation was it was a well regulated, safety focused event, but some circumstances such as rain showers all day and evening Saturday, July 27th were beyond the event host’s control. 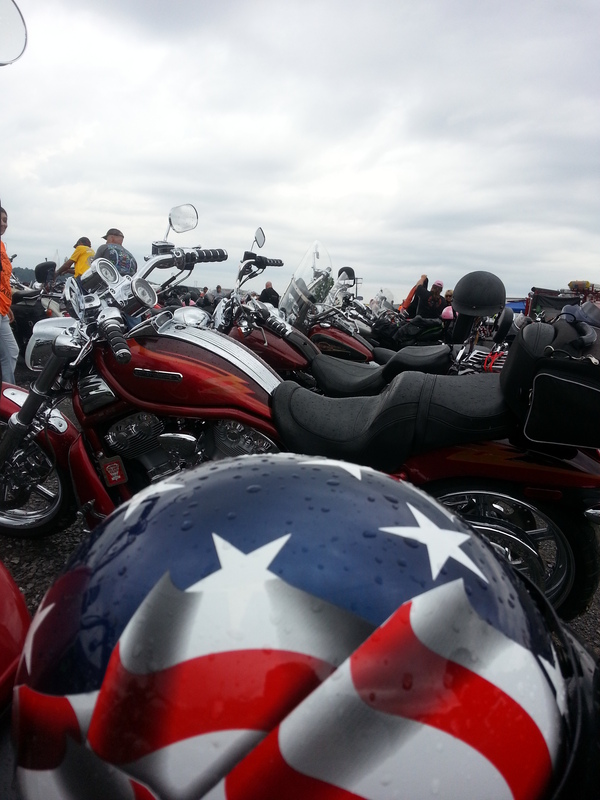 Sadly, a motorcyclist attending MountainFest in Morgantown WV was killed Saturday in a highway accident. The biker was part of a line of motorcycles leaving MountainFest along Chaplin Hill Road. Rain-slickened roads after a rain storm caused the driver to lose control of his bike and drive into oncoming traffic where the motorcycle collided with a Dodge Neon. Police say the man was killed instantly. The driver of the Dodge Neon was transported to Ruby Memorial Hospital with minor injuries, according to police. A passenger in the car did not sustain any injuries, and no charges are expected to be filed. Rain was the probable cause of twelve other crashes that day, so EMS crews stayed busy. Local and State police were on top of the event and stopped several instances of reckless driving. Motorcyclists have rights on our West Virginia roads and highways. After an accident, many car and truck drivers will say that they didn’t see the motorcycle. Isn’t that another way of admitting they were negligent? Jeff Robinette of the Robinette Legal Group, PLLC is ready to stand up and fight for your rights to pursue full and fair money damages after a motorcycle injury or wrongful death. If you or a family member has been involved in a motorcycle accident, don’t let the insurance company tell you it was the motorcyclist’s fault. It’s a common tactic. 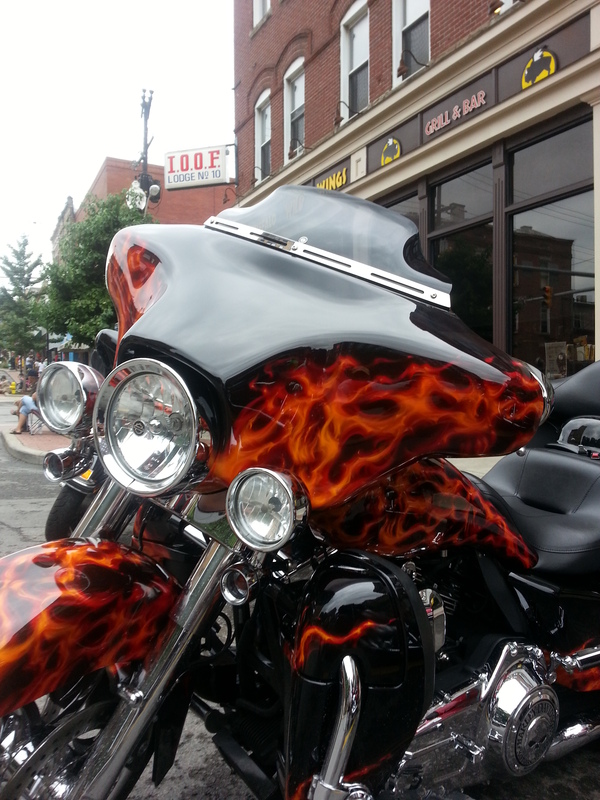 Insurance defense lawyers know that juries are often prejudiced against bikers. Yes, you can try to file a motorcycle accident claim yourself, but there are some important things you will come to realize over time. The insurance company isn’t interested in protecting your rights. Even if they admit liability on the part of their policyholder, they will minimize the value of your injuries and your financial losses. That’s why having an experienced trial attorney from our firm is so important. We have years of experience handling motorcycle accident cases, as both defense lawyers and on behalf of injury victims. We know what motorcycle accident cases settle for and we know what juries are likely to award if the case goes to court. We don’t back down in our pursuit of fair compensation for you. From our offices in Morgantown, we are prepared to represent motorcycle accident injury victims throughout West Virginia. Contact us for a free consultation about your bike wreck injury claim today. Call 24 hours a day: 304-216-6695 or during office hours: 304-594-1800.